The Average Sold Price of homes sold in Pocono Summit PA for August was $124k versus $59k for August 2013. The Number of Homes Sold in Pocono Summit PA for August was 7 versus 5 for July 2013. Good to see that the number of homes sold on a monthly basis continues to increase. The Year to Date Average Sold Price in Pocono Summit PA for 2014 is $94K , DOWN 4%, when compared to $98k for 2013. We have to remember that foreclosures accounted for 30% of the sold homes in Monroe County for August and 30% of the sales for Pocono Summit PA. The Average Sold Price for Monroe County year to day is down 4%. The Number of Homes Sold Year to Date in Pocono Summit PA for 2014 is 38 compared to 22 for 2013. A 73% increase. Very nice. This month makes 22 months in a row that the number of homes sold in the Poconos (Monroe County) has exceeded last years numbers. With increased demand comes an increase in prices, eventually. The Absorption Rate needs to drop to around 6 months to be a balanced market, and the foreclosure rate needs to drop to below 20% and then at that point we have our best chances of seeing our prices begin to rise again, steadily. The Average Days on the Market was 194. The Sale to List Price Ratio was 94%. These trends in the Pocono Summit PA Real Estate Market Report tell us that it is a Great Time to sell your home in Pocono Summit PA. 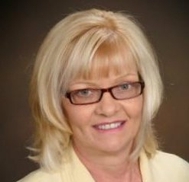 When looking for a Pocono Summit Real Estate Agent to help you sell your home in the Poconos, give Bobbie a call. Together with RE/MAX of the Poconos we will get you to your goal. SOLD!